Boca Grand: Rare Find property in western Boca Raton on acreage! With very large en suite bedrooms and large living areas with built-ins. Private guest house with attached rec room and potential for a movie theater or bowling alley. Private cul de sac lot with commercial size pool, spa area. Needs some work and updating but has great potential for someone needing a very large home. Sold is as is condition and shown by appointment. Fieldbrook Estates: !! !LENDER OWNED!!! Fantastic Investment Opportunity in Fieldbrook Estates. Custom Resort Style Home On 1.25 Acre Lot & Nearly 10,702 SqFt. 8 Bedrooms, 8 Full Baths, 2 Half Baths & A 4 Car Garage. Main Home Has 5 Bed 5.5 Baths with Additional 1 Bed 1 Bath Maid/Ground Quarters. Guest House Has 2 Full Bedrooms, 1.5 Bath, Full Kitchen, Private Driveway & Entrance. Grand Foyer With Marble Flooring, Arched Stair Case & Crown Moldings. Master Upstairs With Private Balcony Overlooking Water & Garden. Large Private Movie Theater, Gourmet Kitchen With Granite Counters, Wolf Gas Stove & Subzero Fridge. Tropical Paradise Outside with Custom Pool, Cabana Bath With a Steam & Large Private This Custom Estate was Designed For Indoor & Outdoor Entertaining At Its Finest. The Oaks: PROPERTY IS IN FORECLOSURE PROCESS. INCREDIBLE TIME TO GET A STEAL OF A HOME ASAP!!!! MUST SELL NOW!!! Sale is subject to Lender Approval. Motivated Seller. Property is being offered AS-IS.THIS MAGNIFICIENT COURTYARD HOME IS MODEL QUALITY, NEW. 6 BR/6.5 BR W/TWO STORY OWNER'S RETREAT GUEST HOME. CHEF'S WORKING,CUSTOM KITCHEN W/PRO APPLIANCES,BUTLER'S PANTRY & WINE STORAGE. SOARING 30FT CEILINGS, NEW SALTWATER POOL,4 ZONE ALL NEW A.C. W/NEST SYSTEMS, NEW SECURITY & AUDIO W/60' HDTV'S & REMOTE CAMERA'S. WOOD & STONE FLOORS, NEW FIXTURES & SUMMER KITCHEN. STUNNING, NO EXPENSE SPARED IN THE CREATION OF THIS SHOWCASE MODEL QUALITY HOME. BEAUTIFUL & STUNNING. Boca Islands: Beautiful water views from this home. 5 bedroom 5.5 bathrooms with attached 2 car garage. Other features include a circular driveway, a balcony, pool, spacious kitchen with island, ceramic tile and hardwood flooring, fireplace in living room, Jacuzzi tub and separate shower in the bathrooms, and more. Discoloration may be present. Boca West: Opportunity is knocking and you better open the door to this rare chance to own one of premiere estates on ''The Island'' in Boca West County Club. The Island is ultra private with only 12 estate homes and their own private guard gate. This one of kind manor is ready to be remodeled to make it your own private oasis. The potential is tremendous in this 2 story estate home, it has over 12,000 total square feet to transform into your dream castle. The backyard pool and spa are overlooking endless golf course and water views. The private elevator takes you to the upper floor and to the large master suite and just wait until you see the views from the rooftop sundeck. This manse is ready to be re-designed into ultimate living environment within this fabulous club and lifestyle. Grande Orchid: Single Family Home in Delray Beach available! Don't miss it! Home features 5 bedrooms and 5.1 bathrooms. No equity required, close to private schools and a rated school district, close to shopping, restaurants, airports and beach. Sold As Is condition. No survey/Disclosures. Proof of funds must accompany all offers. Addendum required after acceptance. EM must be Cert Funds. Rooms, lot size/details not grntd. Property in Auction, all auction terms apply. Buyer responsible for past due HOA fees if any. Magnificent Waterfront 6 Bedroom, 5.1 Bathroom Estate Located in the Community of Canyon Isle. This property features a resort style pool and jacuzzi with beach entry, oversized pie shaped lot located at the end of a Cul de Sac. Enjoy wide water views from the Kitchen, Living, Family Room and Master Bedroom. Perfect home for entertaining. 3 Car Garage. The Canyon Isle community Offers 24 hour security, fitness center, tennis, community pool, and club house. Oceantree: Property being sold through Auction.com auction dates are 1-9-19through 1-11-19.Property is now vacant and available for showings. Call agent for entry. Go to www.auction.com to make offers. Enjoy the Ocean Views from this 3 bedroom 3 full and 1 half bath condo in the Eastpointe II building. Other features include a large open living room with direct Ocean Views and dual balconies. Come enjoy the views and private beach in this manned gated community with concierge. Close to dining and shopping as well. . All sizes are approx. Buyer and buyers agent responsible to verify all condo rules, fees, assessments and regulations. Property sold through Auction.com please call agent for details and questions. GORGEOUS CUSTOM HOME IN GATED BAY HILL ESTATES. LARGE 1+ ACRE LOT WITH EXPANSIVE VIEWS. SOME OF THE CUSTOM FEATURES OF THIS HOME INCLUDE FRENCH DOORS OPENING TO THE PRIVATE POOL DECK AND COVERED LANAI. CUSTOM CABINETRY AND WOOD FLOORING THROUGHOUT FIRST FLOOR. GOURMET KITCHEN WITH GRANITE COUNTER TOPS. MASTER BEDROOM IS DOWNSTAIRS. 9' DOUBLE TRAY CEILINGS WITH CUSTOM CROWN MOLDING AND RECESSED LIGHTING. LARGE OPEN FRONT PORCH WITH A CIRCULAR DRIVEWAY AND A 3 CAR GARAGE. THIS IS A ONE OF A KIND CUSTOM HOME LOCATED IN PRIVATE BAY HILL ESTATES COUNTRY CLUB. AS IS Sale. GORGEOUS CUSTOM HOME IN GATED BAY HILL ESTATES. LARGE 1+ ACRE LOT WITH EXPANSIVE VIEWS. SOME OF THE CUSTOM FEATURES OF THIS HOME INCLUDE FRENCH DOORS OPENING TO THE PRIVATE POOL DECK AND COVERED LANAI. CUSTOM CABINETRY AND WOOD FLOORING THROUGHOUT FIRST FLOOR. GOURMET KITCHEN WITH GRANITE COUNTERTOPS. MASTER BEDROOM IS DOWNSTAIRS. 9' DOUBLE TRAY CEILINGS WITH CUSTOM CROWN MOLDING AND RECESSED LIGHTING. LARGE OPEN FRONT PORCH WITH A CIRCULAR DRIVEWAY AND A 3 CAR GARAGE. THIS IS A ONE OF A KIND CUSTOM HOME LOCATED IN PRIVATE BAY HILL ESTATES COUNTRY CLUB. AS IS Sale. Ranch Colony: Bank owned property in desirable Old Trail Community in Ranch Colony. Home needs work and TLC. Custom built 4 bedrooms/4 bath pool on 0.62 acres in Old Trail needs work and TLC. Open gourmet kitchen with elegant cabinets and granite counters. 14 ft ceilings, wood & marble floors, crown molding, 3 car garage. Formal dining & living room, office, play room plus breakfast nook and family room. Exceptional large master with walk in closets and a luxurious bathroom, complete with free form pool. Some personal touches and repairs required to enjoy this 4,095 sq ft home surrounded by nature. Please note that this property is a foreclosure property and being sold AS IS without warranties or repair. Canyon Lakes: Spacious 5 bed, 4.5 bath with Den and Loft. Master Bedroom, 2nd Bedroom and Den on ground floor, also there is a pool bath entrance, Upgrades, oversized lot and heated pool w/spa. On cul de sac with lake. Upgraded gourmet Kitchen, Wine closet.Canyon Lakes HOA doesn't require BOARD approval for buyers, only for tenants.Rules & Regs attached for your convenience. Employees and family members residing with employees of JPMorgan Chase Bank, N.A, its affiliates or subsidiaries are strictly prohibited from directly or indirectly purchasing any property owned by JPMorgan Chase Bank, N.A. 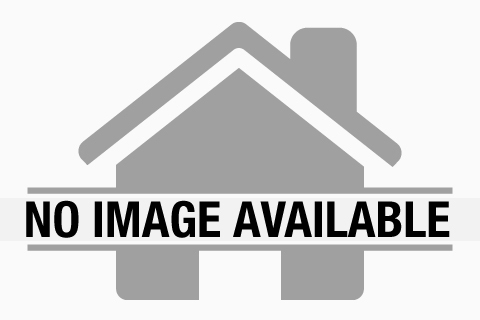 Olympia 2: Single Family Home, 2 story property in Wellington FL! Property features 6 bedrooms and 5.1 bathrooms. Good location! Property near by Parks, Mall and so much more! Don't miss it. SOLD ''AS-IS'' CONDITION. NO SURVEY/DISCLOSURES. PROOF OF FUNDS ACCOMPANY ALL OFFERS. ADDENDUM REQUIRED AFTER ACCEPTANCE. EM MUST BE CERT FUNDS. ROOMS, LOT SIZE/DETAILS NOT GRNTD. Property is at Auction, all Auction terms apply. Buyer responsible for past due HOA fees if any. Mizner Country Club: Spacious 5 bed 5.5 bath pool home featuring marble floors downstairs, a den/office, a downstairs master suite with his and her bathrooms, a blank slate in the kitchen to build the kitchen of your dreams, a loft area, 3 bedrooms upstairs, and a paver patio with a pool and spa overlooking the golf course. Mizner Country Club is a gated mandatory membership community with an 18 hole golf course, six Har-Tru tennis courts, a fitness center, resort style pool, onsite restaurant and dining and pro shop close to major roads, schools, shopping and dining.